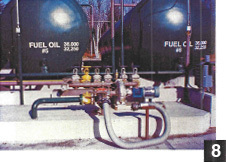 For over sixty years, Savage Associates Inc. has provided equipment, systems and consultation for bulk petroleum storage and through the years, we have evolved with the petroleum storage and distribution industry. Unfortunately, there are still plants that have not moved on, operating with equipment that dates back nearly 50 years! We also ask them, “You invest money each year in your home, don’t you? Why not do the same for this important asset?” To prove our point, we then suggest that the owner make a call to his equipment supplier to see if they have parts or components for that 40-plus year-old piece of equipment on the shelf – parts that will be needed to help out in a jam when it is 20° outside and it is Saturday morning. 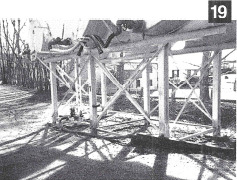 Figure 1 shows swing joints in operation that haven’t been manufactured since 1963. One of the greatest corporate assets for this industry is the bulk petroleum storage facility that you own. Budgeting a fixed amount each year to correct – update – comply will appreciate that asset. Age does wonders to men and women, and even more so to “things.” The aboveground storage tanks in Figure 1, for example, should have been sandblasted and painted over ten years ago. They are not beyond economical upkeep and repair. 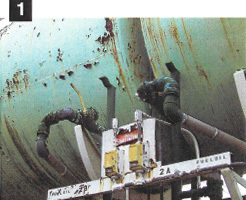 Safety issues, such as the concrete steps shown in Figure 2, or no guard on the motor/pump coupling, as shown in Figure 3, need to be addressed NOW. Figure 3 also shows heavy oil concentrations on the dirt floor. Are all your tank nozzle valves locked? Are they even lockable? What about that water drain valve in Figure 4? 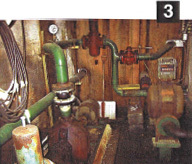 How many of you have basket – no, not “Y” – but basket strainers before your meters and pumps (Figure 5)? Even though areas may be cramped, don’t avoid the use of strainers to protect your inventory control system and product transfer system. Remember, 40 mesh should be used on the meter unit(s) and 20 mesh on the pump suction unit(s). Figure 6 shows a pump without a suction strainer. Protect your loading and unloading hose. Keep them parked up off the ground and out of truck traffic (Figures 7 and 8). Figure 3 shows a meter assembly that has not been built in nearly five years. Also, there is no thermal relief for the lines, thus drippage occurs during the summer months. Remember to put thermal relief on closed or trapped product lines. How is your tank security system for your aboveground tanks? Do you have anti-siphon valves, or back-pressure control valves, or fire safe metal seated butterfly valves with electric to open and spring to close? What happens if there is a pump or electrical failure at the plant? Should you be able to gravity feed trucks through the security valve? Was it designed for manual override in case of power failure (Figure 9)? 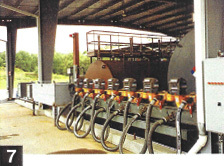 Figures 10 and 11 show bulk lube facilities that have concentrated their storage into compartmented tanks using dry break connections and scales for inventory control. This was done to replace multiple containers requiring numerous pumps to transfer without inventory control. Investing in this update exposed the distributor to additional product suppliers and, in fact, less competition. 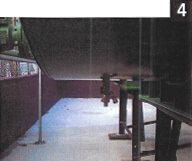 Figure 12 shows a pre-fabricated assembled bottom loading station installed at what was once a top loading bay. Installation took place while the top loading station was still operative. Such updates expanded that retailer’s distribution and improved his inventory control to provide a quick return on his investment. Many years ago (25+ years), cast iron fittings were standard within dike areas. Now, NFPA 30 guidelines, for your safety, rule against such metallurgy. 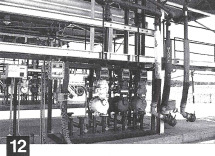 Figure 13 shows an existing facility with cast iron valves, no thermal relief and east iron fittings. This is a hazardous condition that greatly jeopardizes an asset. Not only do the east iron fittings need to be addressed (Figure 14), but the need to address state environmental dike field permeability regulations needs to be addressed. By now, we hope, you all know the difference between the Federal 4OCFRII2 SPCC [Code of Federal Regulations 112 Spill Prevention, Control and Containment] regulations and your state’s regulations for containment-subsurface versus surface runoff. Do you? Invest in your asset now or it will become a liability later. 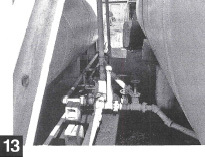 A few years ago, we were called to appear as expert witnesses regarding the top loading of a home heating oil delivery truck. A driver fell from the top of the truck because OSHA guidelines were not followed. He did not have fall protection and he broke both ankles. Figure 15 shows a roofed rack in need of OSHA grabrails. Whether you have a loading platform with a roof (Figure 16) or no roof (Figures 17 and 18), there are means of providing for fall protection while loading the truck. 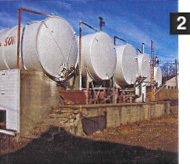 Figure 19 shows what amounts to significant indifference to the value of an asset and safety when using elevated tanks to store combustible product. 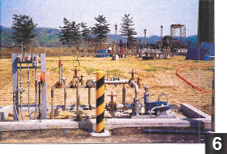 There is no fire protection for the vertical supports, no deadman control valve for loading of trucks, no containment (surface or subsurface), no anti-gravity flow protection, no locked water drain valves, no main tank valves locked and tank nozzle weld connections are leaking. Yearly investments in your corporate asset will provide mental and physical rewards. Your correcting, updating and complying also greatly improves marketing your source of energy.